Dr. Trask is an Associate Professor at the University of Saskatchewan in Saskatoon and Canada Research Chair in Ergonomics and Musculoskeletal Health. 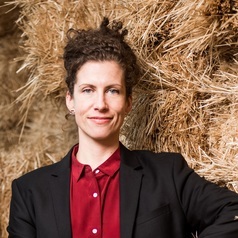 As director of the Ergonomics Lab at the Canadian Centre for Health and Safety in Agriculture, she leads an interdisciplinary research program that focuses on ergonomics in agriculture and other heavy industries. Dr. Trask has published over 60 peer-reviewed articles in ergonomics and occupational health journals. She is a strong advocate for evidence-based prevention strategies and for the economic and health benefits of occupational health and safety research and works to promote both in her role as president of the Canadian Association for Research in Work and Health (CARWH).